Ms. Cappellucci joined the Mt. San Rafael Hospital team in 2014, and serves as a Family Nurse Practitioner in our Rural Health Clinic. Ms. Cappellucci received her bachelor's degree in nursing from the University of Michigan in Flint. 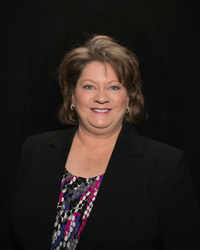 She received her master's degree as a Family Nurse Practitioner from Graceland University in Independence, Missouri; where she is currently working towards her Doctorate in Nursing Practice (DNP). Ms. Cappellucci has extensive clinical experience working with patients across the lifespan. Ms. Cappellucci's medical philosophy can be summed up in a quote by Robert Lewis Stevenson, "Don't judge each day by the harvest you reap, but rather by the seeds you plant." Ms. Cappellucci regards her patients as partners in their overall healthcare. She believes her job is to give her patients the knowledge needed to make informative choices about their health. Ms. Cappellucci and her husband enjoy fishing, camping, and gardening together. She also enjoys reading, quilting, sewing, knitting, caning chairs, cooking and baking, bird watching, raising chickens, and sightseeing across the country. She has traveled all over America from coast to coast and finds beauty in all of God's creations; but, she is particularly fond of Michigan and the Great Lakes, as that is where she was born and has lived the majority of her life. Ms. Cappellucci also loves spending quality time with her granddaughter.